We have a couple FREE designs for you to celebrate the Dad’s in our lives! We are including the designs as BE working files – so that they can be opened into the Embrilliance platform and saved to the format that you need! Not sure how to save the stitch file? Here is a link to our youtube video showing you the exact steps to take – easy as 1-2-3! Download the above design to stitch on a pocket of a denim shirt, on a drink sleeve for their favorite beverage or even on a zipped pouch to help keep “stuff” organized. This design was digitized in StitchArtist and we are providing the BE working file. For those that have StitchArtist, you can see all the design objects and their properties. 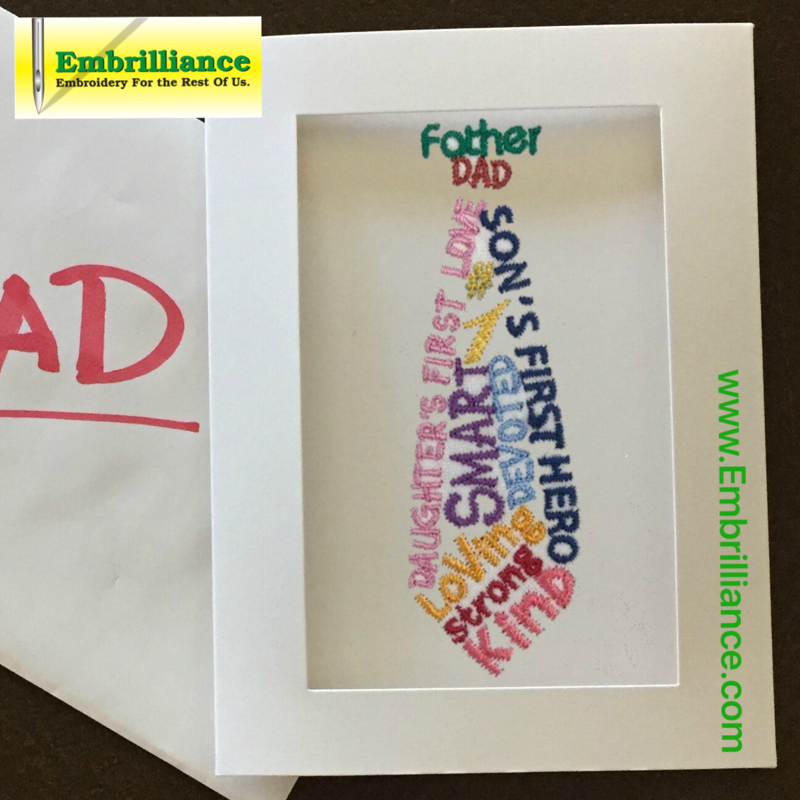 WordArt designs are always a sentimental way to express how you feel about the person you are making the design for. Click on the picture above to download the design – because we have included the BE working file, you are able to customize the lettering objects with your favorite BX fonts. Create a very personal and thoughtful card by stitching this on a nicely stabilized woven fabric and inserting your stitched artwork into a precut card available from most craft stores (check out the photo cards and scrapbooking section! Want to share your WordArt projects with us? 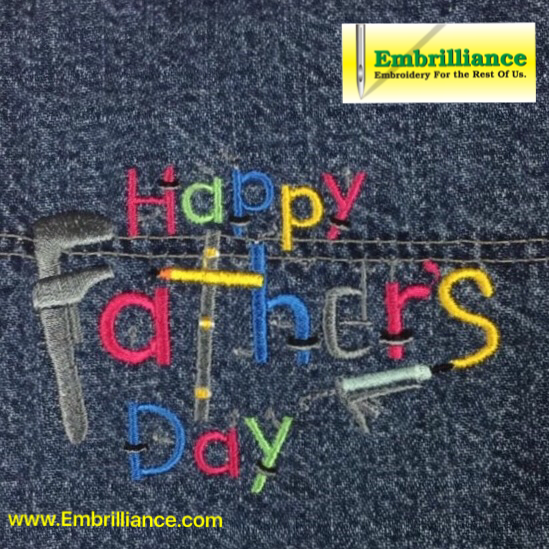 We love to be inspired and see what it is that you make with the Embrilliance software programs! If you would like to see your project featured in our projects blog, please send us pictures and information about it using this link. Do you get our newsletter? If not, be sure to click on the “newsletter!” link in the left column so that you get all the latest happenings at Embrilliance! Posted 1 year, 10 months ago at 11:00 am. "I LOVE the program.................Thank you for you great product!"